Who’s that blushing cheeks lady surfing the web? Getting married? 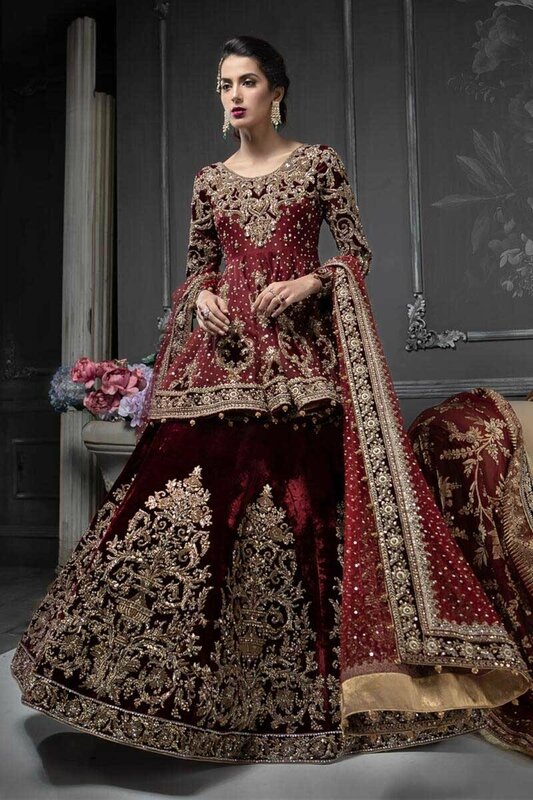 Or a relative of the future bride is here? Well, you’ve got to the right place. 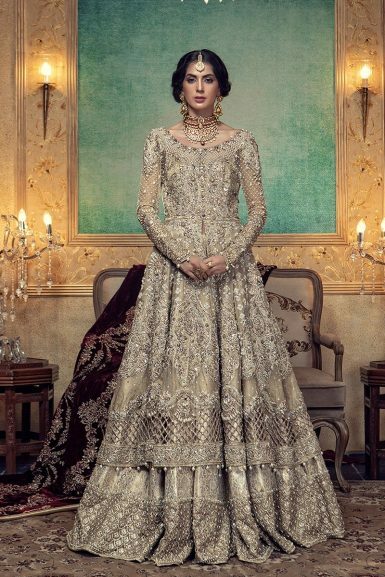 StylesGap is right here to serve you with all the latest trends and designer wear even for your wedding too. So keep trolling through the writing. Here’s the name for you with Pakistani Designer Bridal Dresses by Maria B Brides. Yes! It’s Maria B, the name of a worldwide renowned, preferred, and distinct designer brand. Which has always been working to provide excellence to its customers through garments that meet international standards under the observation of well-trained fashion tailors? Weddings and festivals being an essential part of the life need some exclusive assortments for the girls to get dressed up. 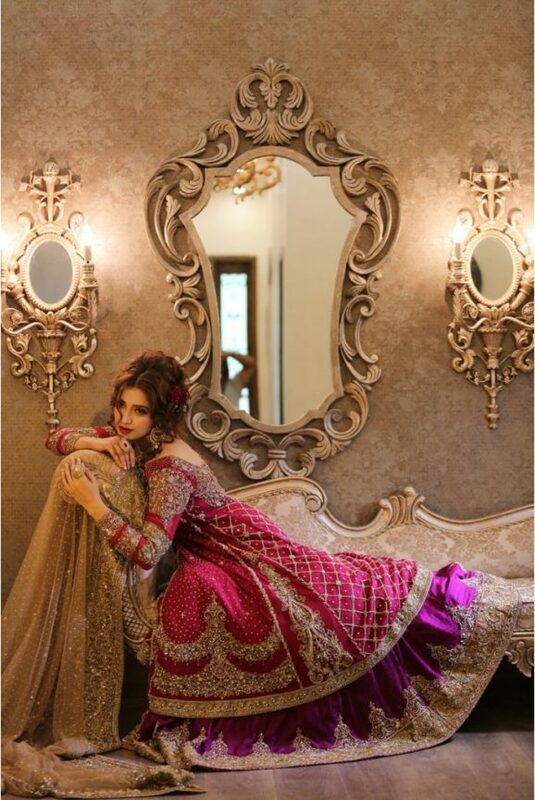 Focusing on a woman is more important as she is the one who gets all the attention on a wedding day. 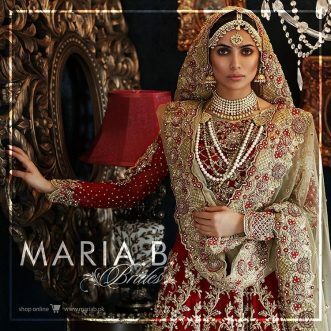 Almost all the famous designers launch their newest bridal collections every year serving the brides with a nice and qualitative array and so has always been done by famous and all time working Maria B. 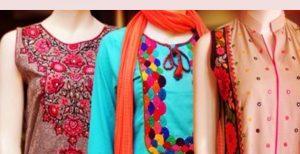 Launching casual collections for girls and kids and formal embroidered ones. 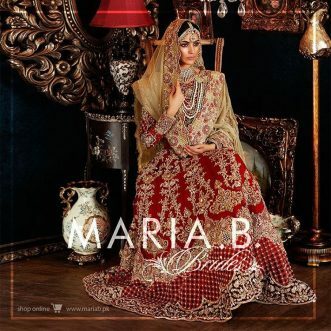 How come your wedding can be left ignored by Maria .B. 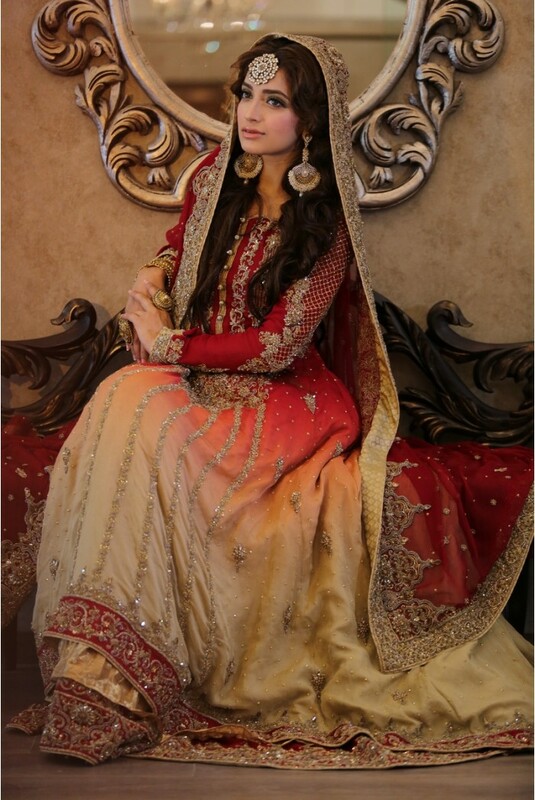 Bridal studio of the brand is located in Lahore, but you can place the order by appointment. 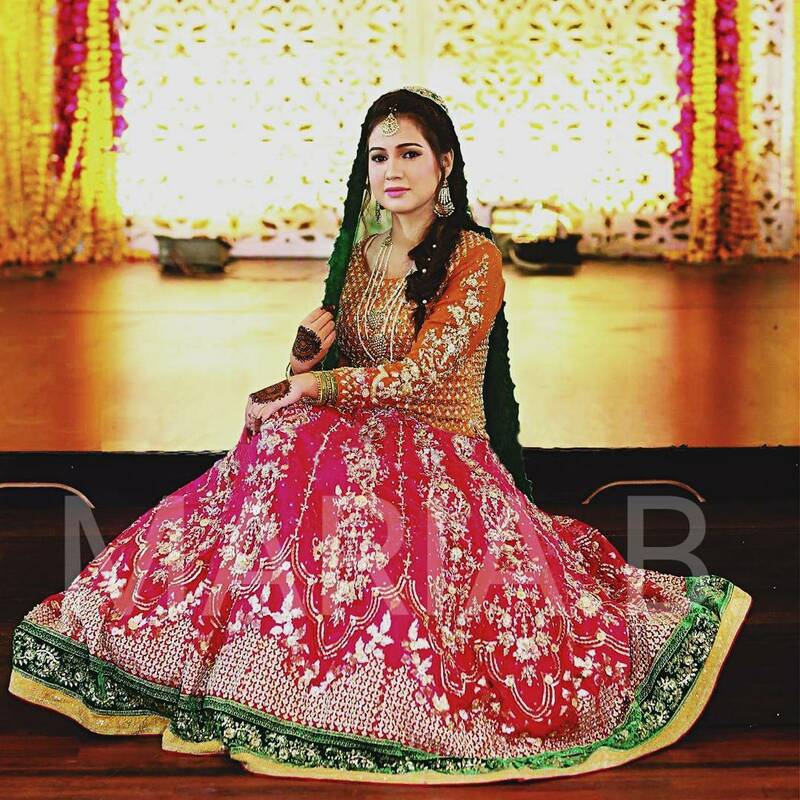 So let’s explore this season’s Wedding treasury by the famous untiringly working Brand! 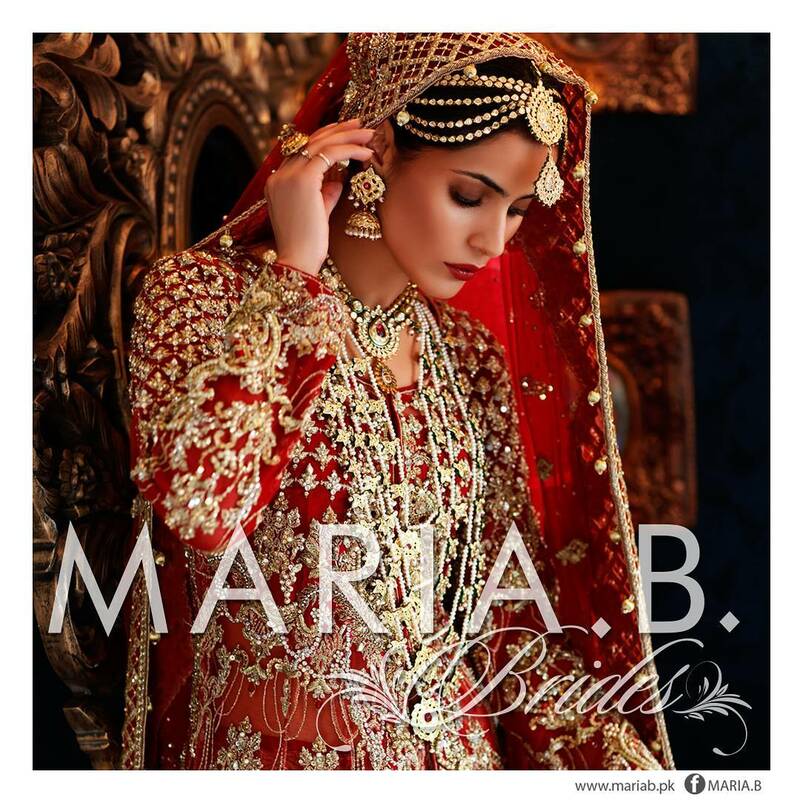 Maria B is popular for creating the mind-blowing wedding dresses for brides all over the world. 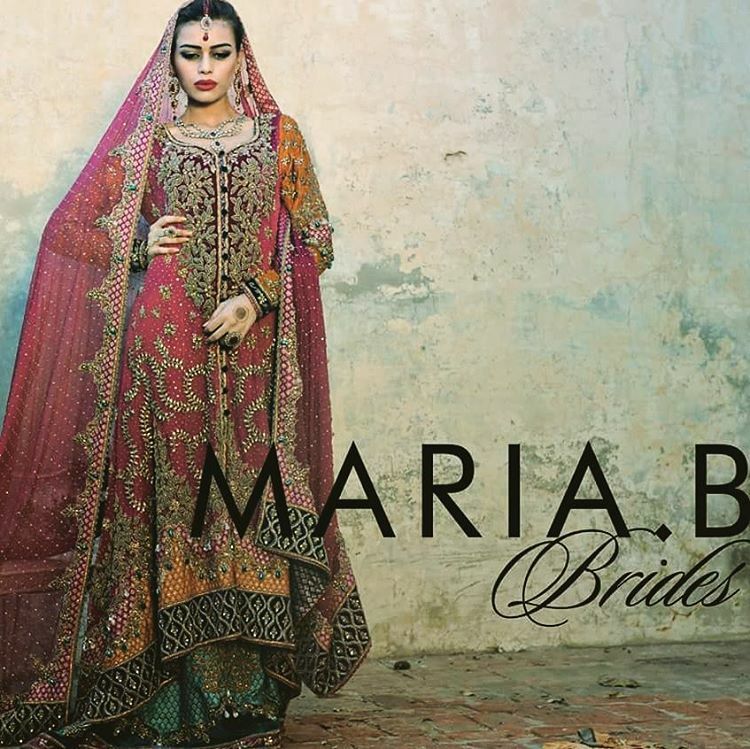 The latest Pakistani designer dresses trends by Maria B possesses the tremendous pastel hues amazingly. 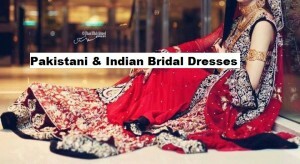 These dresses are combined and contrasted with a few other tints with heavy stone and beads work. 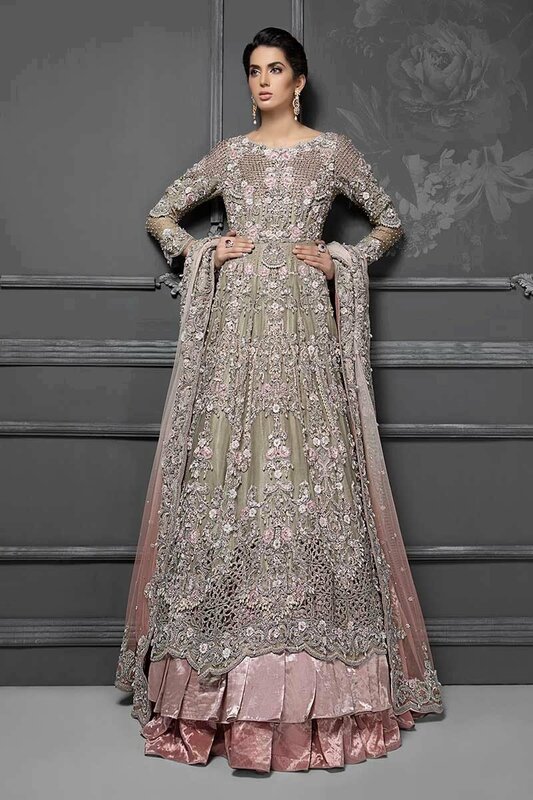 The nice exotic embroidery is done on both front and back of the dresses. 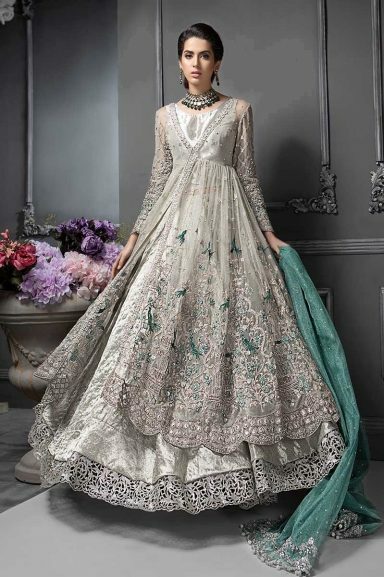 It lets you indulge in pastel hues to have an incredible look in soft colors of high-class tradition. 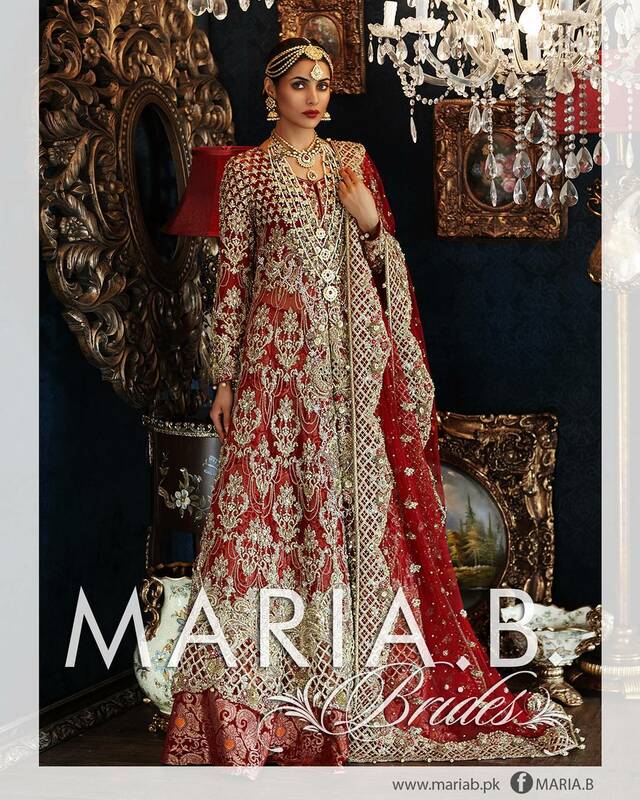 Being a MARIA.B Bride is more than any other one, and this is the way you’d look stunning and best of bests on your special and big day. 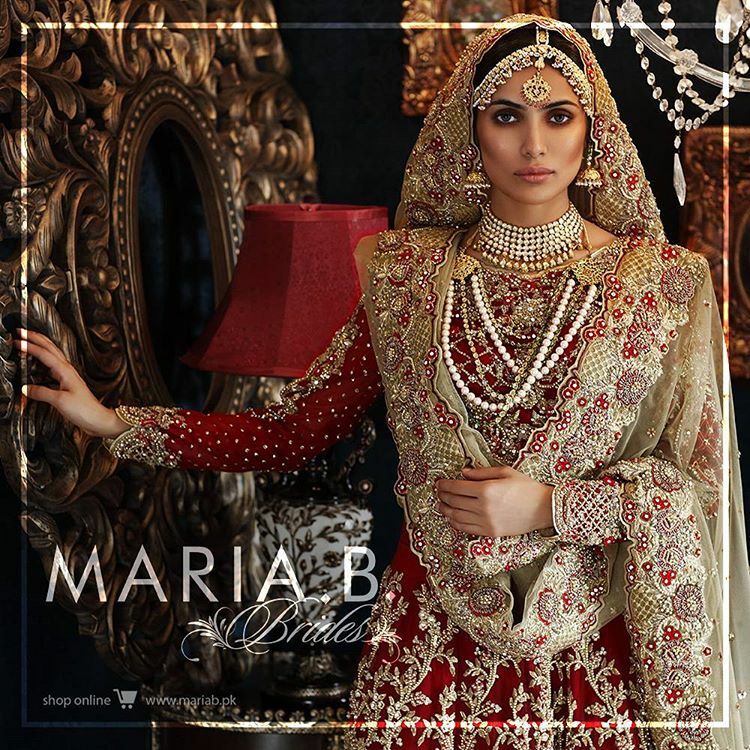 Shown in the pictures below, is the amazing array of Maria B Pakistani Designer Bridal Dresses presenting soft and dark colors for events of a wedding ceremony. 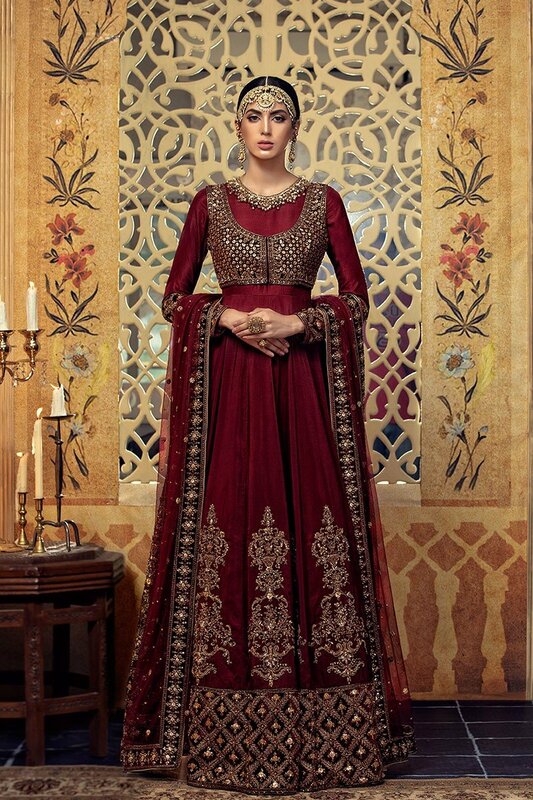 That are adorned with the enrichment of the dabka, zari and motifs along with the stone and fancy embroidery. This collection has long-tailed gowns, frocks, maxi, long shirt/kameez and lehengas featuring sequin works and sober embroidery but all of this is best driven out by Maria as when it’s about her designs, we can’t expect any usual way of executing the dresses. 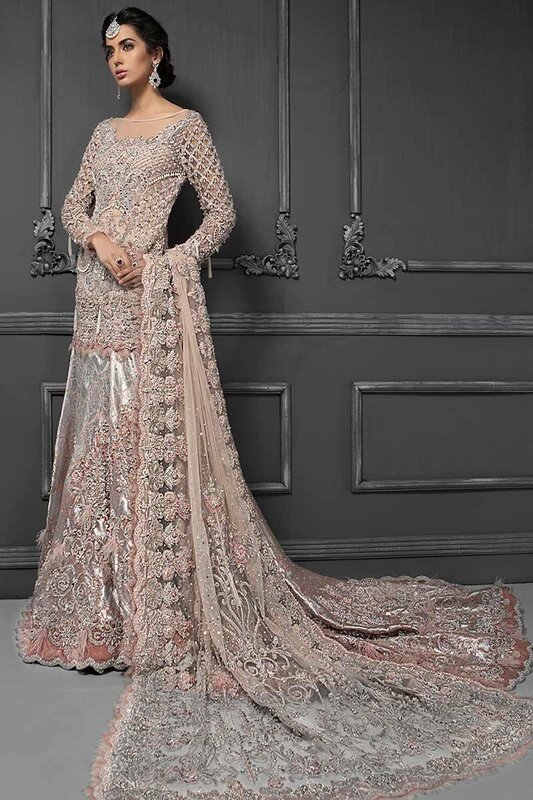 Amazing beads work especially on the back of the outfits and borders with jamawar chiffon and silk fabric boost up the exquisiteness and allure of the dresses making this party wear/ Bridal assortment a “must have” for the upcoming brides. 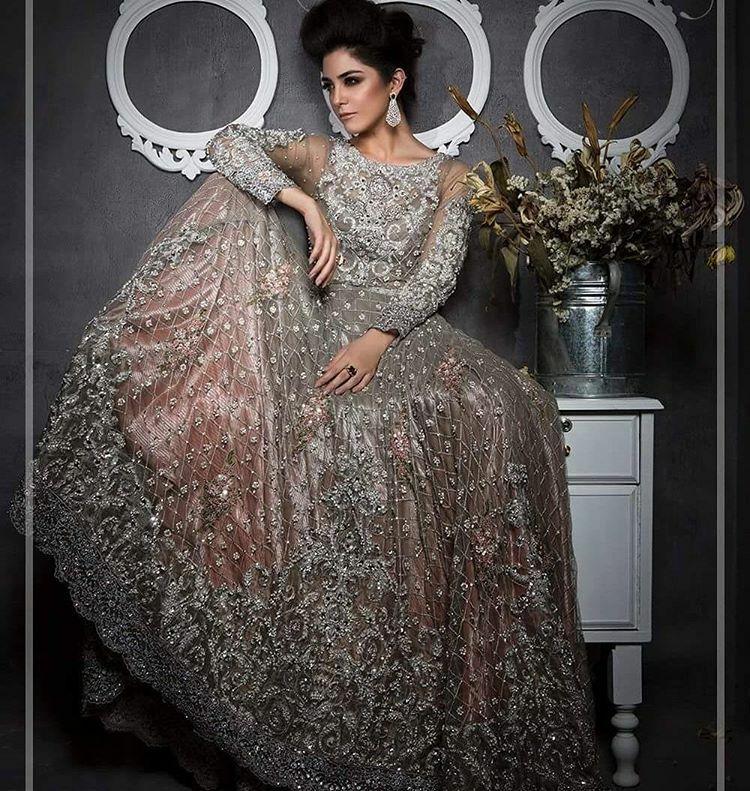 Have a look at the beautiful image gallery posted below and get inspired by the Pakistani designer bridal dresses 2019!